Elegant and reliable. 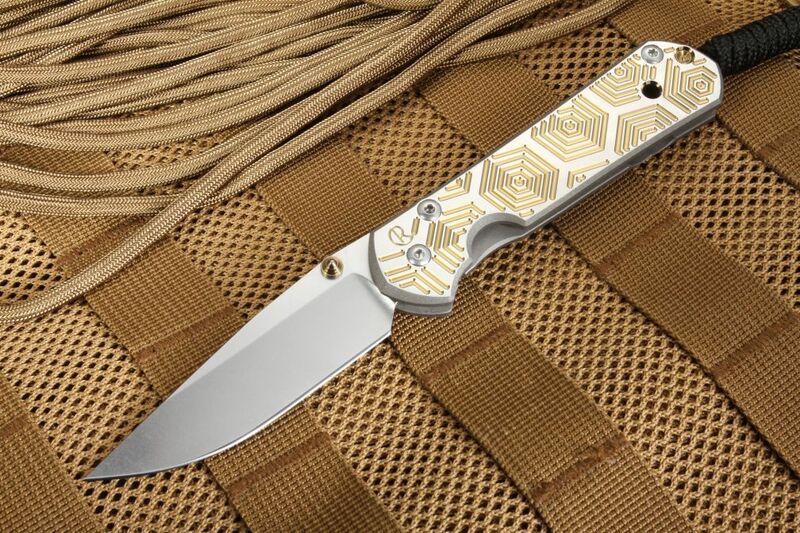 The Chris Reeve Small Sebenza 21 computer generated graphic Hex Gold folding knife covers both. 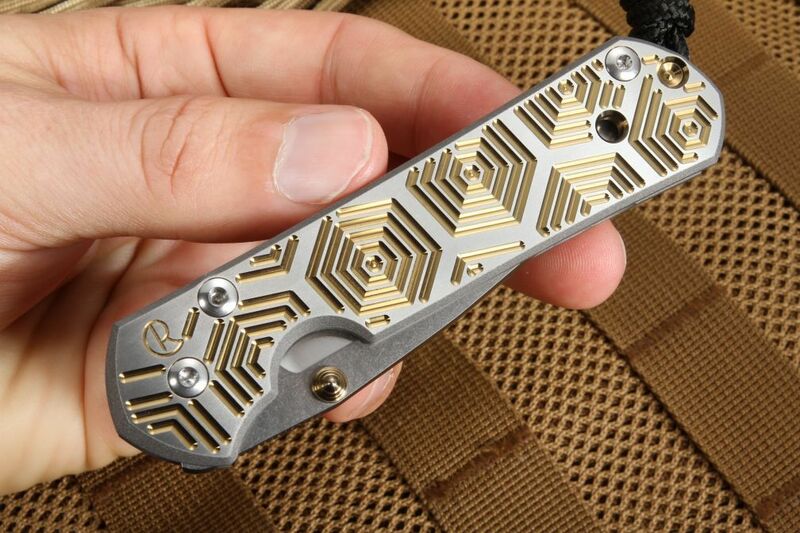 Beautiful gold anodized titanium thumb stud matches the gold anodized handle and lanyard pin. Fine stone wash finish on the American Made CPM S35VN blade steel. Hollow grinds on the blade for a precision edge. Jimping covers the thumb rest of the blade spine for added grip and control. Handle features a satin finished titanium face with gold anodized Hex designs. 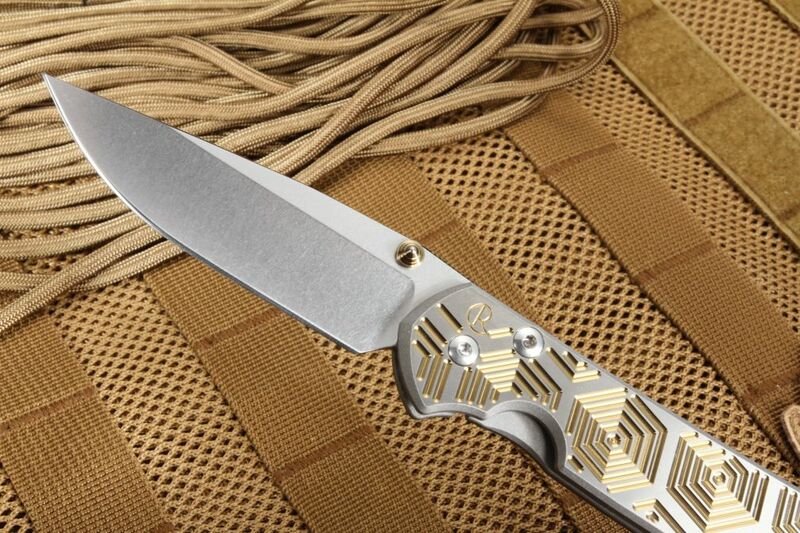 Frame lock side of the titanium handle is bead blasted for a matte grey finish. 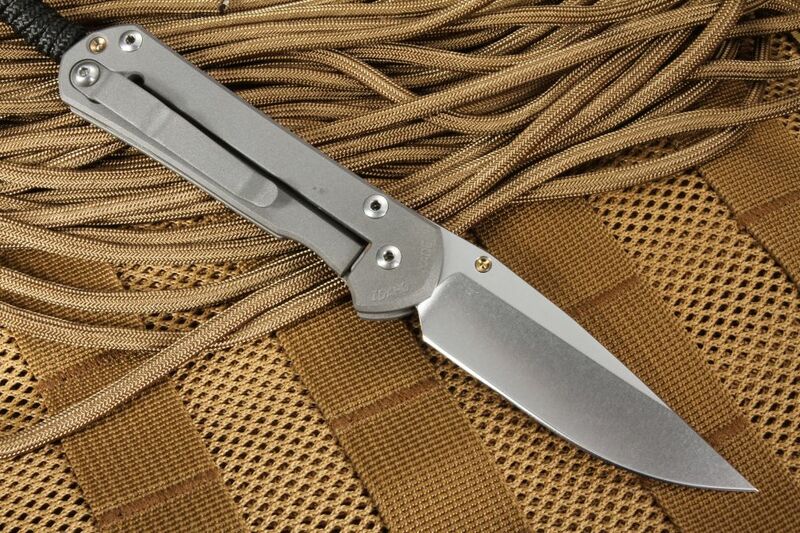 Titanium pocket clip is mounted for blade tip up carrying. 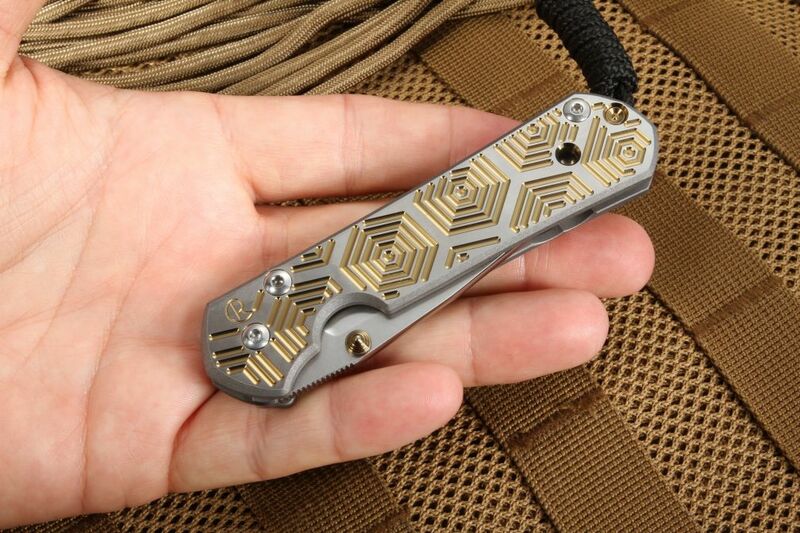 Braided black cord lanyard makes removing the Small Sebenza Hex Gold from your pocket easy and efficient. Chris Reeve knives are made in the U.S.A.